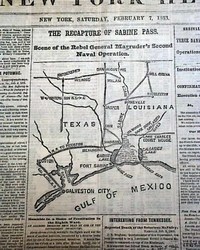 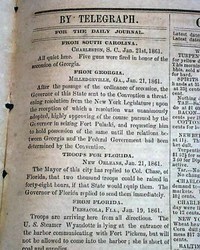 This issue contains several Civil War era reports to Washington, including ongoing Mason and Slidell details. 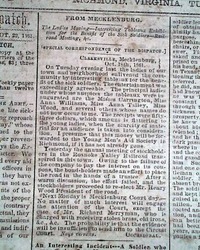 Regional updates are surrounded by advertisements and news of the day. 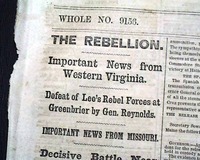 This rare title from the Midwestern United States has some Civil War reporting and several interesting advertisements of the day. 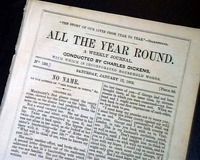 ALL THE YEAR ROUND, London, January 17, 1863 This was a weekly periodical "Conducted By Charles Dickens", as noted in the masthead. 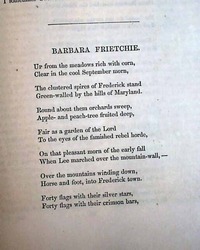 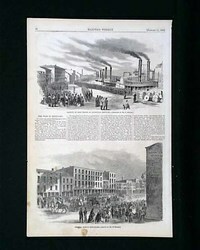 Filled with various literary content, this issue contains 24 pages is in very nice, clean condition, 6 by 9 1/4 inches. 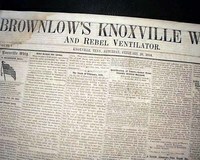 Nice to have the "Charles Dickens" name in the title. 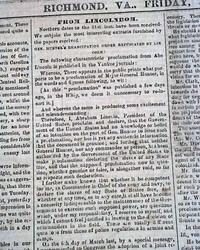 (see images). 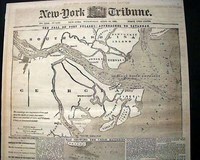 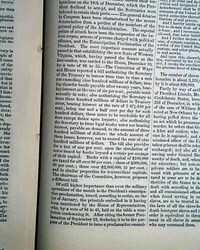 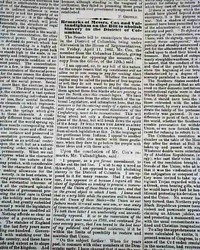 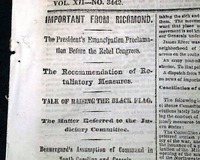 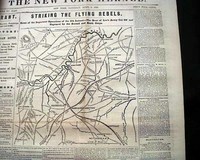 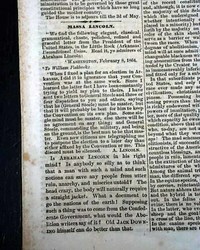 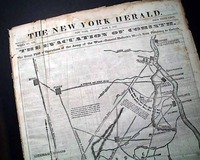 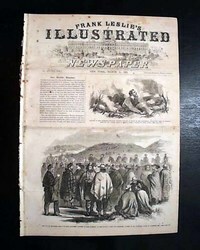 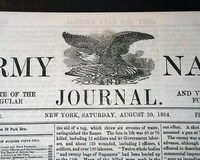 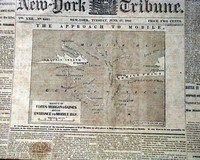 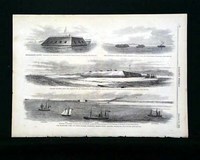 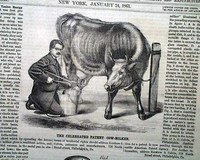 HARPER'S NEW MONTHLY MAGAZINE, New York, February, 1863 Towards the back of the issue under the "Monthly Record of Current Events" is content pertaining to the newly enacted Emancipation Proclamation. 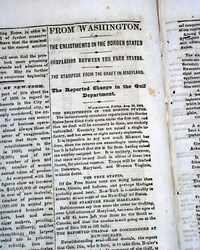 The front page is entirely taken up with ads, while much of pages 2, 3 & 4 are taken up with Civil War reports with much on the Battle of Spotsylvania Court House. 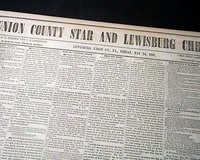 UNION COUNTY STAR AND LEWISBURG CHRONICLE, Lewisburg,Penn. 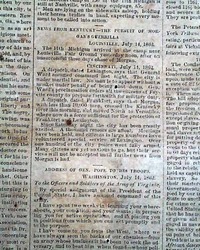 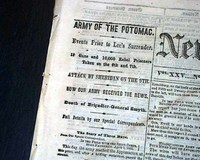 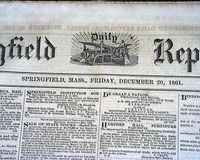 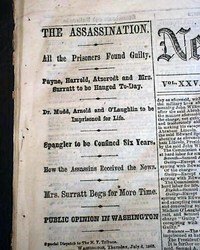 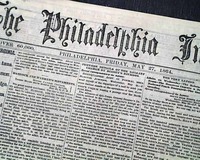 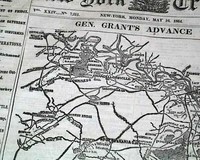 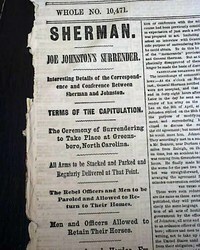 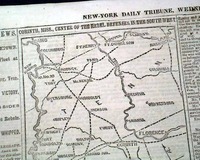 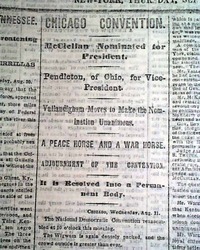 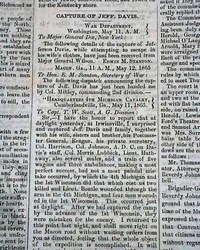 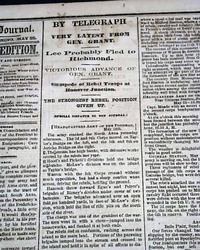 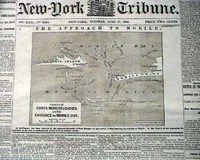 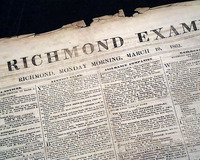 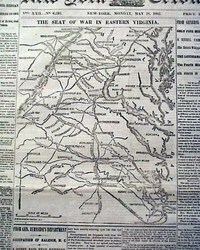 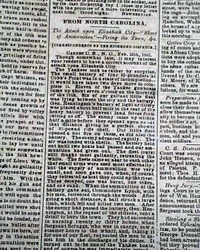 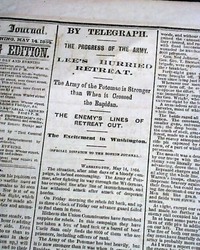 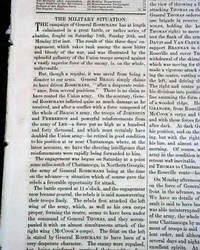 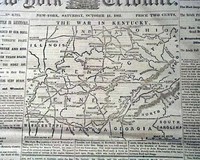 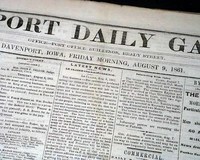 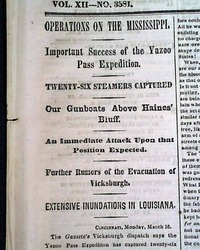 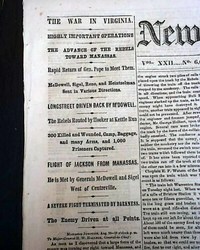 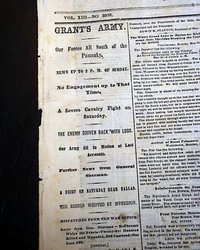 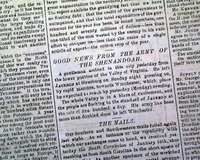 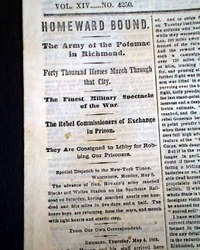 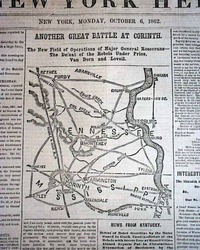 May 24, 1861 Front page has Civil War related news from early on in the conflict. 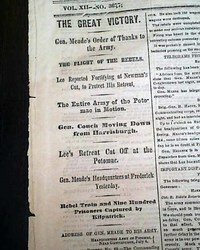 Folio-size single sheet, some wear along the bottom margin with a little text loss, otherwise nice. 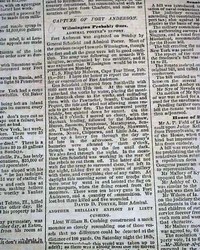 NEW YORK TRIBUNE, April 14, 1865 No one could have imagined the day this newspaper was read what would headline the next day's edition.